Does the Internet really need another knitting blog? The Continuing Adventures of Cocoa and the Mittens. Buy-Out Clause In A KAL? Confessions of an Apple Junkie. Do the Ends Justify the Means? Houston, We Have A Sock! EZ and Enda and Gjende, Oh My! Knit Me Or You’re Dead! is now these lovely singles that are awaiting plying. has started its journey to becoming yarn. 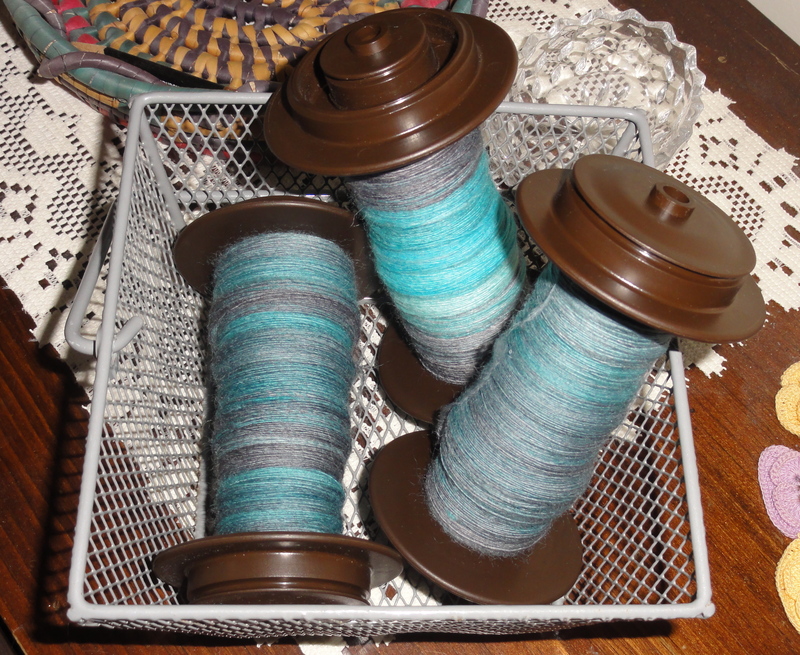 Visit Tami’s WIP Wednesday to see what other fiber and needle artists are up to. 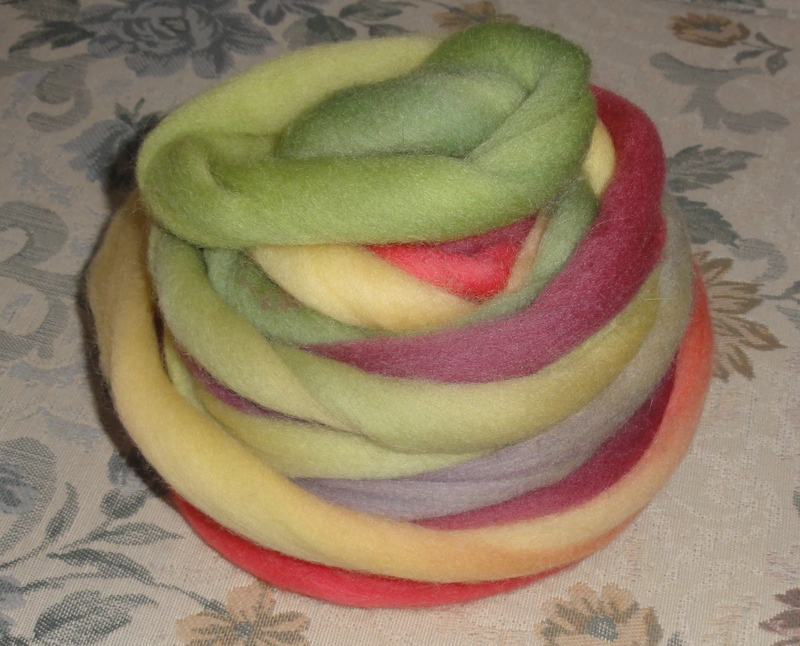 This entry was posted in Spinning and tagged Corriedale roving, Falkland roving, Sunset Fibers, WIP Wednesday, Woolgatherings. Bookmark the permalink. Thank you. There are some incredibly talented indie dyers out there. Good for you!, I, on the other hand, have been shamefully neglecting my spinning. 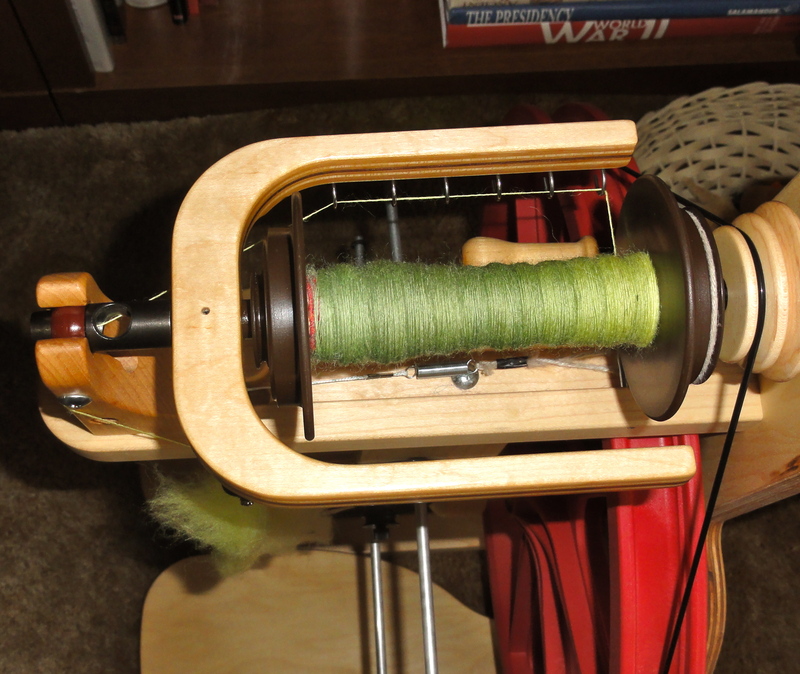 I’ve been neglecting my spindles, although I did do a little drop spindling today. Ooh, I have yet to try my hand at falkland, sadly. I need to spin more often. Q – LOVE both. 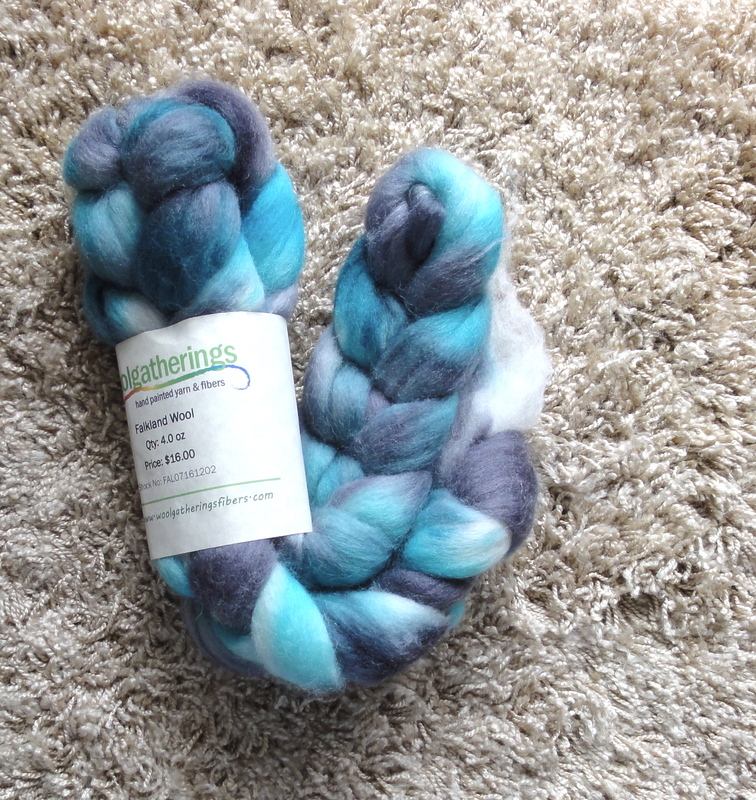 Great colors and great spinning! Thank you. I hope my plying goes well.